11:30am - I'm at Mr. Jons again. Because of their "panqueques." 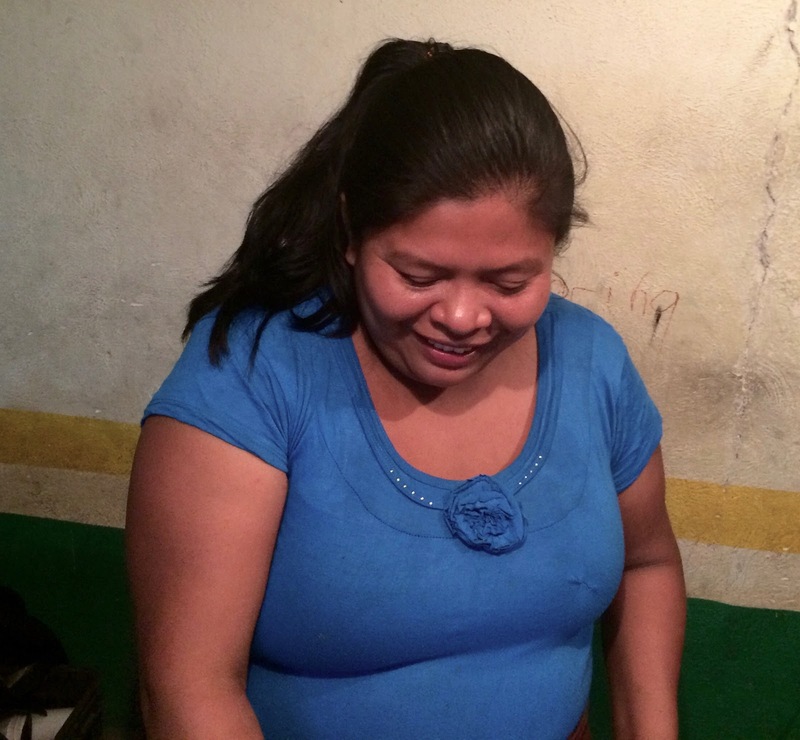 Here in Guatemala, pancakes are pronounced "pahn-kah-cays." I feel a bit badly that I am blogging to you mostly about where I am going out to eat. But, what I am doing here in Panajachel is mostly going out to eat. That does not mean that I am not having a good time just being here in this foreign land. I love just being here. It is really great for me to simply eat out and observe what goes on in Panajachel each day. 1pm - Not here in the Town of Panajachel. My check at Mr. Jon's had 6% added. Not that I mind having 6% added. Because I usually add 20% for a tip. 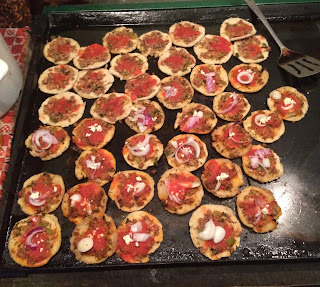 7pm - Every day since arriving in Panajachel, I've watched a lady street vendor selling what appear to be very small tostadas. Her stand is on Avenida Santader, right near the 3-way intersection. A very good location! Being cautions, I ordered one garnacha. Then another. Then the 3rd one. These things are good! Don't feel bad, George - your readers are thoroughly enjoying themselves. I sure am...we all spent years eager to see what you were going to eat that day! Thank you sooooo much! I am so happy to read that you continue to enjoy my posts. Even when I am mostly writing about going out to eat! George your blogs are wonderful Not a day goes by that we don't think of you. Today the wife saw a Tioga on a Ford chassis , parked and said , "it could be George ! " But we know you are on another adventure every bit a s interesting as the last, and perhaps with less stress. Thank you soooo much for your "blogs are wonderful" compliment! Hey Jorge some bato from here on Bahia Matanchen was asking about you today so I brought up your blog for him to check out and we find you in...PANAJACHEL! Hey, I was there too, about 20 years ago. How would you like an aerial tour of the place...? Been a long time since we were together. Yes, I have traveled to Panajachel for awhile. 2nd time I have come here. First time, 2012.